The NBA is now a year-round drama, but the last 24 hours have been nuts! LeBron James finally made his decision and will join Laker Nation, whose fans are preparing for the next chapter in their colorful existence. Not only do we get to see LeBron adorn the sacred Purple and Gold, but the theatrics of LaVar Ball and Lance Stephenson, which could simulate the experiences of the Ultimate Fighter Challenge. It wasn’t all about Lebron, though. Kevin Durant, Paul George, and Chris Paul committed to the Warriors, Thunder, and Rockets respectively. The West now hoards all the talent, while the East looks to be the land of opportunity. Free agency dominoes have, and will continue to fall over the upcoming weeks, but don’t let that distract you from another piece of the NBA machine: SUMMER LEAGUE. Can Trae Young put on a show? Most eyes will be on Trae Young this summer. Will he be able to live up to the hype and be one of the most exciting players to come out of the draft? He has the swagger and should be motivated, since he received tons of criticism after Oklahoma’s late-season collapse. Young will see his skills tested right away, as Jevon Carter, a fellow Big 12 player and defensively advanced guard, could be matched up against him. Young will have the likes of John Collins and Tyler Dorsey surrounding him, so there should be more space to accentuate the strengths of his game. We all know about the shooting and passing ability, but I will be keeping a firm eye on his ability to play defense this summer. Although he is not projected to be a great NBA defender, it can’t be overlooked that he averaged 1.7 steals per game in college. Can Trae Young and John Collins develop early chemistry? No one is expecting the Hawks to win a ton of games this year, but a vital part of taking a step forward will be the chemistry formed between Young and Collins. Pick and roll action should be deadly, as Young can shoot from the perimeter and is an adept passer in crowded space. As a player who is efficient and knows his limitations, Collins could be a great fit for Trae and how the chemistry develops this summer is worth monitoring. Despite being only 6′ 9,” will Omari Spellman play the 5 at all? I’m sure you are sick of hearing about positionless basketball, but the 30th overall pick offers opportunity for the Hawks to develop a small ball rotation. A career 43% shooter from beyond the arc in college, Spellman also rebounds well and is a decent shot blocker. Dewayne Dedmon opted in, but Spellman has the potential to offer a different dimension to the Hawks front-court, offering offensive firepower. The shooting range of Spellman should also create additional space in the lane for Young to drive and run pick and roll action. The development of Spellman goes hand-in-hand with that of the future of Young. In his rookie season, Tyler Dorsey found himself a consistent part of the Hawks rotation, averaging 17.4 minutes over 56 games during the 2017/18 season. Just 22 years old, Dorsey will have the opportunity to develop further and will no doubt have a point to prove after the Hawks selected Kevin Heurter with a mid 1st round draft pick during the draft. Heurter provides more firepower than Dorsey, so Dorsey has to prove that he can stick around long term and improve on his 36% shooting from 3-point range. Fortunately for him, Heurter suffered a hand injury. Can he take advantage of the opportunity? What should we expect from Jaren Jackson Junior? Did he or didn’t he want to go to Memphis? It is all irrelevant now, as both parties seem to be committed to the pick in the hope of moving on from last season’s nightmare. JJJ always brings a bottle to the block party. 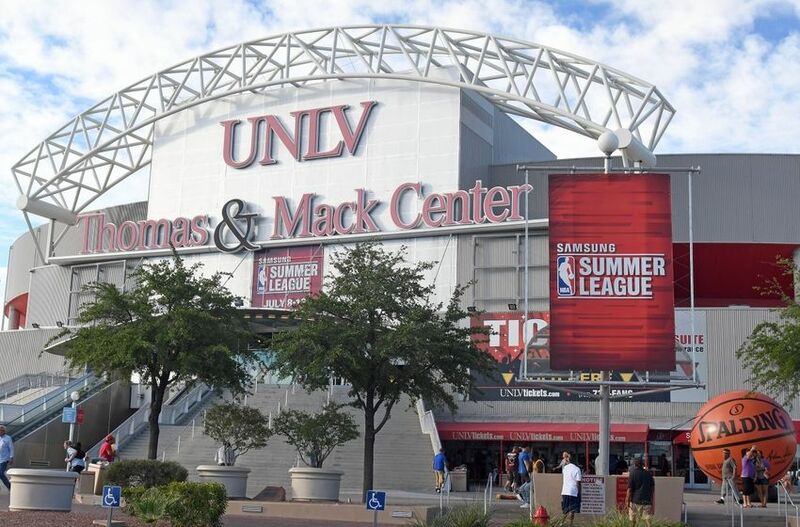 Summer League should be no different. Fantasy owners are intrigued by the all-around skill set, elite defensive stats, and percentages, but what should we be looking out for in Summer League? His usage. Most peg him as the heir apparent to Marc Gasol at center, but he will need to play the 4 to maximize his value. He did reluctantly played some 4 in college, so the transition shouldn’t be too awkward. Even in a limited role, JJJ will still have good fantasy value and it will be interesting to see the battle between he and John Collins. Don’t expect fireworks early, but it will be fun to watch the defense play against higher echelon athletes. Is Jevon Carter worth drafting? We had James Ennis the Pennis and now Jevon the Menace in Memphis. I have a feeling the fans are gonna love him. Four-year senior from WVU, Carter was the heartbeat of the high-press system employed and averaged 3 steals per game in Big 12 play last year. It’s hard to ignore the improvements he made in his catch-and-shoot abilities after initially struggling, but he finished college as a 39% shooter from beyond the arc. Will this translate to the NBA? If it does, Carter could be a Patrick Beverly-type player. Keep an eye on Deyonta Davis, who possesses a lot of talent and upside, but has struggled staying healthy. A future frontcourt partnership of JJJ and Davis could well be in the cards and Summer League should give us a glimpse of the potential. After balling out in last year’s Summer League and showing flashes during the regular season, Wayne Seldon Jr has the opportunity to be a man among boys this year. If he can dodge the injuries that plagued him last season, Seldon could position himself for a role if/when the Grizzles find themselves short handed again. Im really looking forward to read you summer league articles. JJJ started with a huge bang and a huge shooting night. What have you seen else in the game ? JJJ sure had no concerns with nba three point range, but was just as encouraged by him switching between the 4&5,something vital to Co existing short term with Gasol. Trae looked over excited and trying too hard, lots of explosion second half though, not concerned. It’s day 1 of summer league, kids playing together for first time.